A spicy, slow cooked traditional Andhra style mutton curry, intense and strongly flavorful. 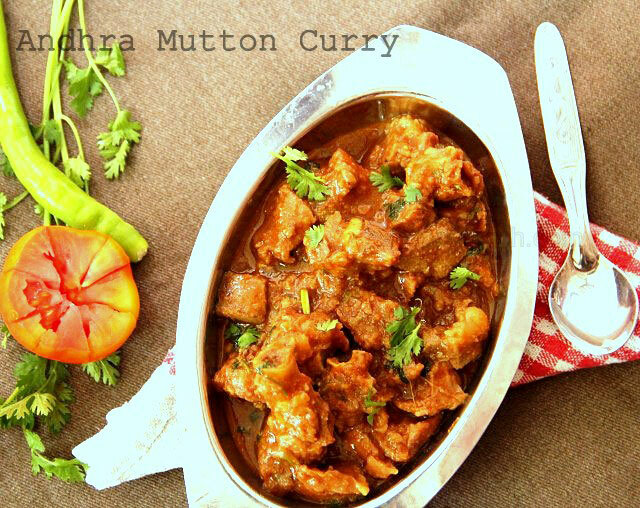 A tradition Andhra mutton curry recipe that we make at our mother in laws house usually on most special occasion. It is prepared in the rustic village style and that helps retain delicious flavor into the meat recipe…. 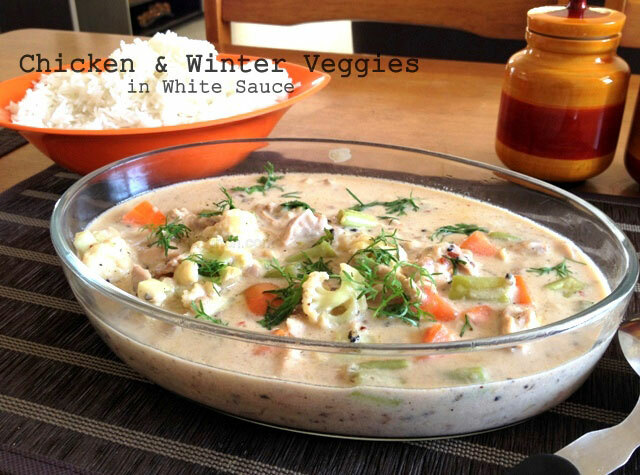 A mellow, subtle and creamy curry with Chicken cubes, cauliflower, carrots and beans. This recipe is my version of comfort food for a winter Sunday lunch. Served with steaming hot rice, or Indian Naan (read the recipe here), or just a loaf of garlic bread, this dish is an absolute bliss. I was first introduced to this dish by my father on a Christmas lunch, where he told me how this recipe had undergone several variations in every chef’s hand…. Crispy Sole Fillet Schnitzel served over a bed of beans tossed in spicy garlicky hoisin sauce. Some recipes are so rewarding that even a chatterbox like me can fall short of words to describe it, and this Fish Schnitzel with beans in hoisin sauce recipe sure qualifies as one of them. 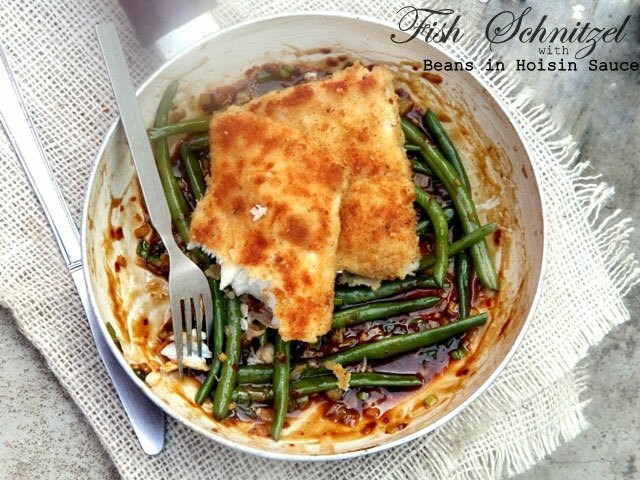 The soft flakey fish inside a crispy outer crust over a bed of spicy hoisin sauce gravy prepared with lots of garlic and served with some healthy beans, a delight booth for the eyes and the palate…. 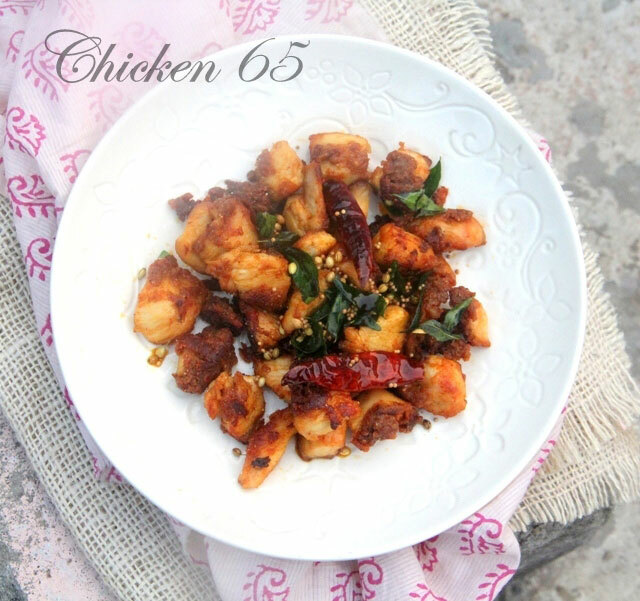 It’s origin can be traced back to Chennai and it has long been served as a bar snacks before the Chicken 65 recipe gained its popularity as a snack or starters all over. It’s distinctive Indian flavours, punctuated by the tadka (tempering) of whole chillies and curry leaves at the end makes it a flavourful and aromatic dish…. 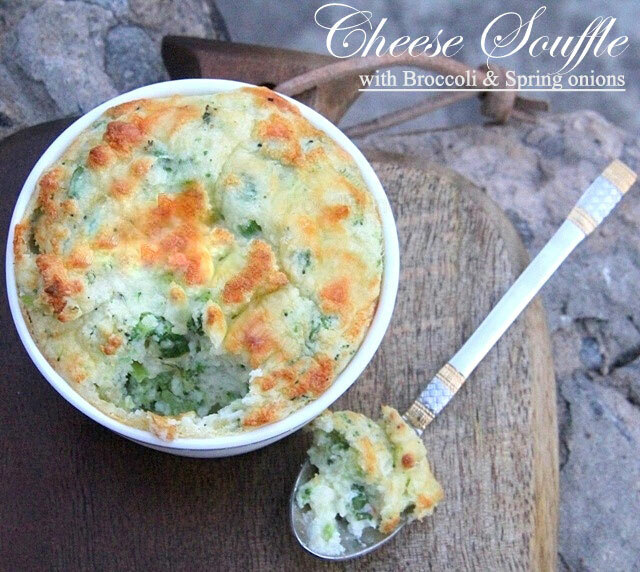 A comforting egg and cheese soufflé with the goodness of broccoli and spring onions, heavenly! The prayers are answered and the bright Sunshine winter mornings are back so I baked a Cheese soufflé with broccoli and spring onions. That made absolutely no sense, did it, well let me narrate my lazy Sunday morning story and things will fall in place…. 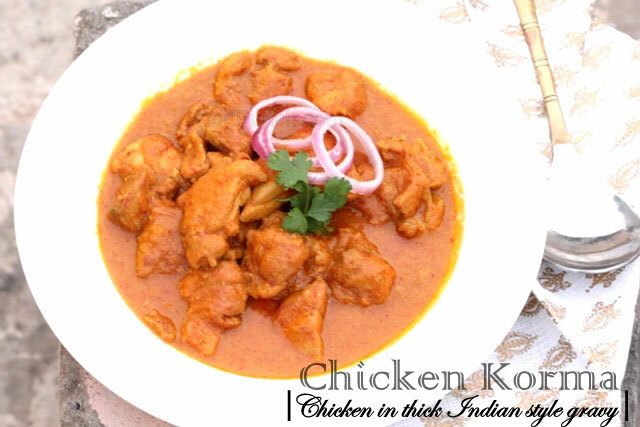 Recipe repost: Our star recipe for Chicken Korma, chicken in a thick Indian style gravy. 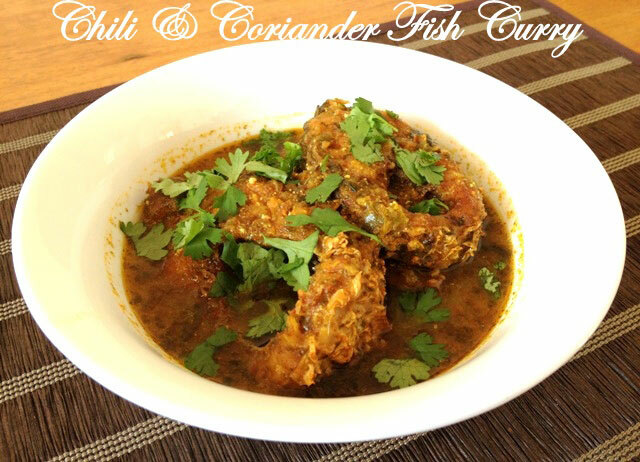 The much awaited re-post with new pics is here, it’s my first recipe, a recipe with which I began this journey. It’s somehow also one of the most visited recipes on my blog till date and yet it took me so long to click and post some decent pics (you know what I mean if have seen the original post). 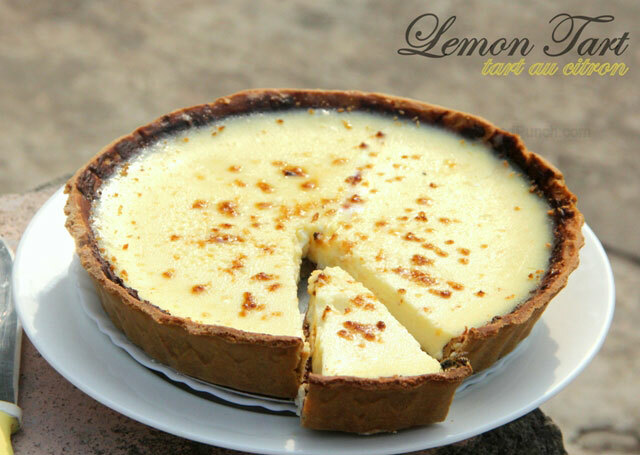 Guess it was this comment by a reader “what’s with the blurred pics” and I thought its about time that I update this awesome recipe with some pics that can do justice to the recipe.